UNITED NATIONS, New York – “Without safe houses, girls will be cut,” said human rights activist Rhobi Samwelly, who runs two safe houses for girls in the Butiama and Serengeti districts of Tanzania’s largely rural Mara region. “During the cutting season, you can’t get protection in the community,” she explained. In parts of Tanzania where female genital mutilation (FGM) is practised, the ‘cutting season’ generally coincides with school holidays in December. For girls subjected to it, FGM – which involves injuring or altering the female genitalia for non-medical reasons – can cause a range of negative health consequences, including pain, infections, haemorrhage and death. When Ms. Samwelly was 13 years old, she implored her parents not to have her cut. They didn’t listen, and she had no safe place to run to. She nearly bled to death from her wounds. Afterwards, she made her parents promise not to cut her younger sisters. For Ms. Samwelly, it was the beginning of a lifetime of activism to end FGM. Through school programmes and community outreach, she is getting the word out that girls can find refuge at the safe houses operated by Hope for Girls and Women. But when a call for help comes in, from a girl at risk or a concerned community member, finding the girl can be a challenge. That’s because considerable swaths of land in rural Tanzania – including villages as large as 10,000 people – remain unmapped. Volunteers in Tanzania and around the world are working to change that. “We are building a global network to unite people from across the world,” said Janet Chapman, founder of Crowd2Map Tanzania, speaking at a mapathon hosted by UNFPA on 28 September. Since 2015, Crowd2Map Tanzania has coordinated this volunteer network’s efforts to fill in the blank spaces on rural Tanzania’s maps using OpenStreetMap, an open-source mapping application – so that activists on the ground can better protect girls. The process starts when local activists identify areas to be mapped. Then, it’s up to volunteers around the world to fill them in via the Humanitarian OpenStreetMap Team’s online platform. Finally, local volunteers add details like the names of neighbourhoods, schools, clinics or streets. 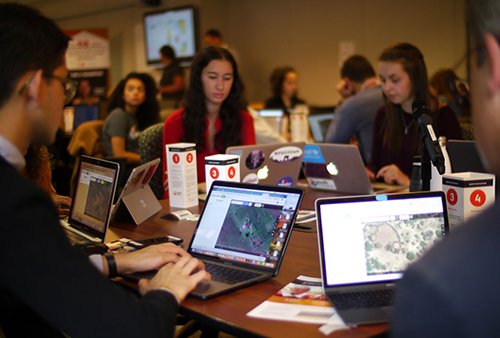 During the mapathon, over 6,000 volunteers in over 60 countries mapped more than 49,000 buildings and nearly 7,000 kilometres of roads. The data they generated will help a range of FGM-related services and outreach programmes reach the girls, families and communities that need them most. As more and more communities abandon FGM, programming needs to zero in on remaining hotspots, noted Nafissatou Diop, Senior Advisor and Coordinator of the UNFPA-UNICEF Joint Programme to Eliminate FGM. Since household surveys offer regional-level data at best, district-level data generated through the mapping project are indispensable for identifying the communities where FGM is still practised. 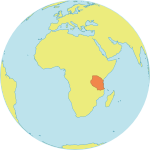 The Mara region, where FGM prevalence stands at 32 per cent, compared to 10 per cent in Tanzania as a whole, is home to some of these hotspots. UNFPA is working with Hope for Girls and Women as well as other local partners there to raise awareness, hold community dialogues, and provide psychosocial support and alternative rites of passage for girls. So far, the mapping initiative has helped over 3,000 girls get to safety. 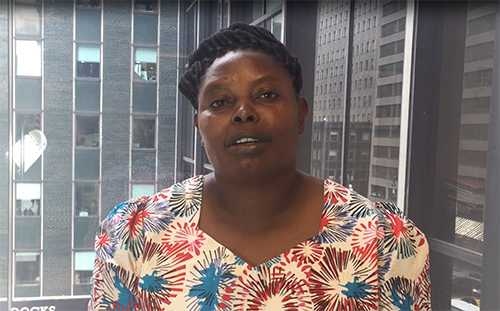 While staying at a safe house is a temporary solution for girls in acute danger, Ms. Samwelly is also working to lay a foundation for durable change. Most girls go back home after six or seven weeks, once the cutting season is over. To make this return possible – and safe – Hope for Girls and Women, community social welfare staff and specially trained police work with families and communities to change minds – a step towards transforming the social norms that sustain FGM. Girls can return home once their parents pledge to respect their wishes not to be cut, and to support them in staying in school. The programme checks up on the girls every three months. Girls whose families refuse to reconcile stay at the safe houses, where they receive counseling and continue their studies. But Ms. Samwelly doesn’t give up trying to change their families' minds.